Welcoming hardwood foyer, formal dining room. Chef's dream kitchen with fireside keeping room. Owner retreat complete with spa bathtub and shower including large walk-in closet. Endless potential in full finished basement w/golf-cart garage. Large deck and patio great for grilling and family gatherings! Great location short walk or golf cart trip to shopping and dining! 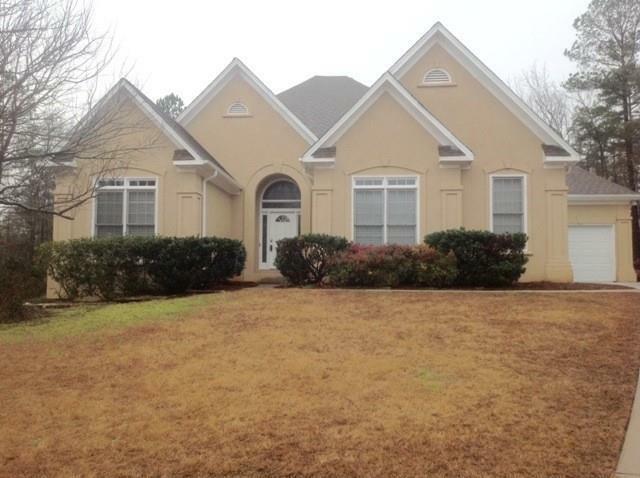 Desirable schools & North PTC location for fast,easy access to Airport & ATL.